Not to be confused with United Nations High Commissioner for Human Rights. The current Commissioner is Dunja Mijatović, who began her six-year mandate on April 1, 2018 (succeeding Álvaro Gil-Robles, Thomas Hammarberg and Nils Muižnieks). Elected by the Parliamentary Assembly of the Council of Europe, the Commissioner seeks to engage in permanent dialogue with member states, continually raising awareness about human rights issues, and promoting the development of national human rights structures. The Commissioner conducts visits to each member state for an evaluation of the human rights situation, and issues reports, opinions and recommendations to governments. The Commissioner also co-operates with a broad range of partners, including the European Union, the United Nations and its specialized offices, as well as leading human rights NGOs, universities and think tanks. provide advice and information regarding the protection of human rights across the region. The member states are obliged to "facilitate the Commissioner's contacts, including travel, in the context of the mission of the Commissioner and provide in good time information requested by the Commissioner". While the Commissioner "shall function independently and impartially." The Commissioner may act "on any information relevant to the Commissioner's functions". The Commissioner "may directly contact governments of member States of the Council of Europe". The Commissioner may also "issue recommendations, opinions and reports." The Commissioner enjoys immunity "from arrest and all legal proceedings in the territories of all members, in respect of words spoken and votes cast". Article 36 of the European Convention on Human Rights allows "third party intervention" before the European Court of Human Rights for the Commissioner stating that "In all cases before a Chamber or the Grand Chamber, the Council of Europe Commissioner for Human Rights may submit written comments and take part in hearings. The candidates shall be eminent personalities of a high moral character having recognised expertise in the field of human rights, a public record of attachment to the values of the Council of Europe and the personal authority necessary to discharge the mission of the Commissioner effectively. During his or her term of office, the Commissioner shall not engage in any activity which is incompatible with the demands of a full-time office. The Commissioner carries out visits to all member states to monitor and evaluate the human rights situation. In the course of such visits, he meets with the highest representatives of government, parliament, the judiciary, civil society and national human rights structures. He also talks to ordinary people with human rights concerns, and visits places of human rights relevance, including prisons, psychiatric hospitals, centres for asylum seekers, schools, orphanages and settlements populated by vulnerable groups including Romani, LGBT people and other minority group. Following the visits, a report or a letter may be addressed to the authorities of the country concerned containing an assessment of the human rights situation and recommendations on how to overcome shortcomings in law and practice. The Commissioner also has the right to intervene as a third party in the proceedings of the European Court of Human Rights, either by submitting written information or taking part in its hearings. The Commissioner also conducts thematic work on subjects central to the protection of human rights in Europe. He provides advice and information on the prevention of human rights violations and releases opinions, Issue Papers and reports. The Commissioner promotes awareness of human rights in member states, by organising and taking part in seminars and events on various human rights themes. The Commissioner engages in permanent dialogue with governments, civil society organisations and educational institutions in order to improve public awareness of human rights standards. He further contributes to the debate and the reflection on current and important human rights matters through contacts with the media, the publication of periodic articles and thematic documents. As part of country visits, thematic work and awareness raising activities, the Commissioner pays a specific attention to the defence of human rights activists and engages in close co-operation with other Council of Europe bodies and with a broad range of international institutions, most importantly the United Nations and its specialised offices, the European Union and the Organization for Security and Co-operation in Europe (OSCE). The office also cooperates closely with national human rights structures, leading human rights NGOs, universities and think tanks. ^ "The Commissioner for Human Rights". Commissioner for Human Rights. Retrieved 2018-09-19. The Office of the United Nations High Commissioner for Human Rights is a department of the Secretariat of the United Nations that works to promote and protect the human rights that are guaranteed under international law and stipulated in the Universal Declaration of Human Rights of 1948. 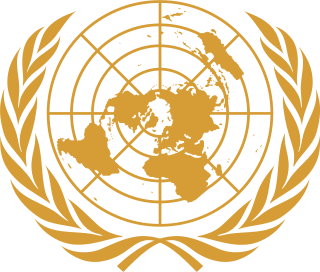 The office was established by the UN General Assembly on 20 December 1993 in the wake of the 1993 World Conference on Human Rights. The United Nations Human Rights Council is a United Nations body whose mission is to promote and protect human rights around the world. The UNHRC has 47 members elected for staggered three-year terms on a regional group basis. The 38th session of the UNHRC began June 18, 2018. It ended on July 7, 2018. The headquarters of UNHRC is in Geneva, Switzerland. The Convention on the Elimination of all Forms of Discrimination Against Women (CEDAW) is an international treaty adopted in 1979 by the United Nations General Assembly. Described as an international bill of rights for women, it was instituted on 3 September 1981 and has been ratified by 189 states. Over fifty countries that have ratified the Convention have done so subject to certain declarations, reservations, and objections, including 38 countries who rejected the enforcement article 29, which addresses means of settlement for disputes concerning the interpretation or application of the Convention. Australia's declaration noted the limitations on central government power resulting from its federal constitutional system. The United States and Palau have signed, but not ratified the treaty. The Holy See, Iran, Somalia, Sudan, and Tonga are not signatories to CEDAW. Thomas Hammarberg is a Swedish diplomat and human rights defender. The Congress of Local and Regional Authorities (CLRA) is the pan-European political assembly representing local and regional authorities from the forty-seven member states of the Council of Europe. Its role is to promote local and regional democracy, improve local and regional governance and strengthen authorities' self-government, according to the principles laid down in the European Charter of Local Self-Government. It is made up of two chambers, the Chamber of Local Authorities and the Chamber of Regions and holds its plenary sessions twice a year at the Palace of Europe in Strasbourg, where its permanent Secretariat is located. The Constitution of Kosovo, refers to the supreme law of the Republic of Kosovo. Article four of the constitution establishes the rules and separate powers of the three branches of the government. The unicameral national Assembly of the Republic exercises the legislative power, the executive branch led by the President and the Prime Minister which are responsible for implementing laws and the judicial system headed by the Supreme court. The National Human Rights Commission of Korea is the independent commission for protecting, advocating and promoting human rights. This Commission, by law, is guaranteed the independent status regarding all human rights issues in Korea. To ensure its independent status it is legally separated from all branches of the Government of Korea. The INGO Conference is the body representing civil society in the Council of Europe, a European organisation founded in 1949. The Council of Europe has 47 member States with some 800 million citizens and its seat is in Strasbourg, France. United Nations Security Council Resolution 1941, adopted unanimously on September 29, 2010, after recalling all previous resolutions on the situation in Sierra Leone, particularly Resolution 1886 (2009), the Council extended the mandate of the United Nations Integrated Peacebuilding Office in Sierra Leone (UNIPSIL) until September 15, 2011. United Nations Security Council Resolution 2000, adopted unanimously on July 27, 2011, after recalling previous resolutions on the situation in Côte d'Ivoire, including resolutions 1933 (2010), 1942 (2010), 1951 (2010), 1962 (2010), 1967 (2011), 1968 (2011), 1975 (2011), 1980 (2011), 1981 (2011) and 1992 (2011), and Resolution 1938 (2010) on the situation in Liberia, the Council extended the mandate of the United Nations Operation in Côte d'Ivoire (UNOCI) until July 31, 2012. United Nations Security Council Resolution 2009 was unanimously adopted on 16 September 2011. Media freedom in the European Union is a fundamental right that applies to all member states of the European Union and its citizens, as defined in the EU Charter of Fundamental Rights as well as the European Convention on Human Rights. Within the EU enlargement process, guaranteeing media freedom is named a "key indicator of a country's readiness to become part of the EU".